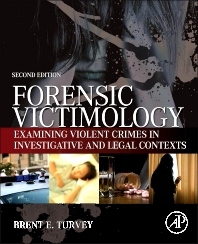 Published in 2009, the first edition of Forensic Victimology introduced criminologists and criminal investigators to the idea of systematically gathering and examining victim information for the purposes of addressing investigative and forensic issues. The concepts presented within immediately proved vital to social scientists researching victims-offender relationships; investigators and forensic scientists seeking to reconstruct events and establish the elements of a crime; and criminal profilers seeking to link pattern crimes. This is because the principles and guidelines in Forensic Victimology were written to serve criminal investigation and anticipate courtroom testimony. As with the first, this second edition of Forensic Victimology is an applied presentation of a traditionally theoretical subject written by criminal justice practitioners with years of experience-both in the field and in the classroom. It distinguishes the investigative and forensic aspects of applied victim study as necessary adjuncts to what has often been considered a theoretical field. It then identifies the benefits of forensic victimology to casework, providing clearly defined methods and those standards of practice necessary for effectively serving the criminal justice system. 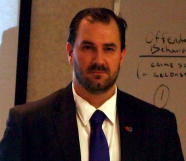 Forensic science programs, legal community, legal studies programs, sociology / criminology programs, victim studies programs, and criminal justice programs.